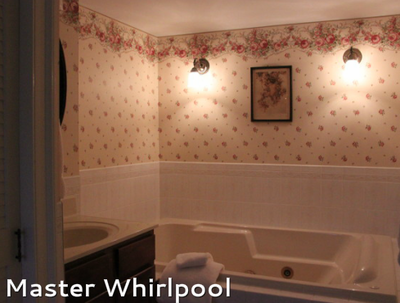 In the “newer” section of the Farmhouse, we have two deluxe rooms that feature whirlpool baths and cable television. 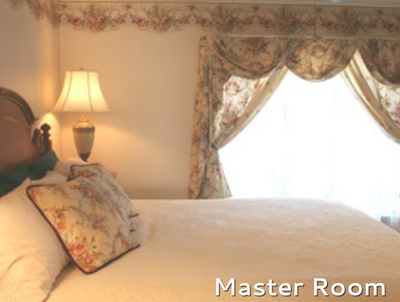 The Master room has a king size bed and a small deck that overlooks the back yard and creek. 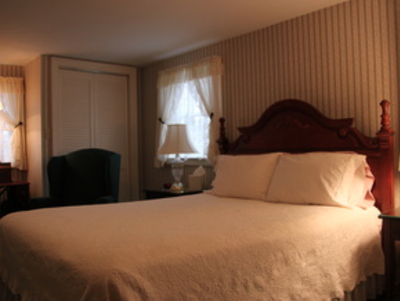 The Sewing room is a quaint room that features a king size bed and is decorated with sewing notions of the past. 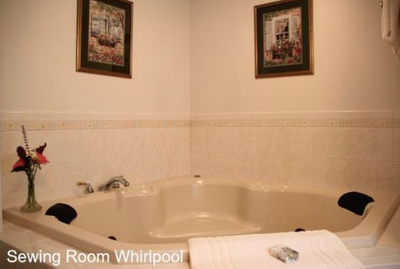 On the back of the farmhouse is a large deck that overlooks the creek and covered bridge. Hummingbirds and deer are often seen in the backyard of the house. Featuring two deluxe rooms with a two person whirlpool! Children are accommodated in the "Old Farmhouse Suite"